Front Street Cafe is the perfect example of a small locally owned business that supports sustainability in every aspect of its operations. From initial design, concept development, to daily management, Front Street Cafe maintains these principles with the highest intention. The Cafe purchases all of their produce from a small local distributor in the neighborhood (Riverwards Produce) who sources as much as possible from local and organic farms. All fresh squeezed juices and teas are 100% organic and non-GMO while the coffee is sustainably harvested, Fair Trade Certified, and organic as well. All of the raw artisan cheeses are sourced from small family owned dairies here in the United States. Front Street Cafe supports the local community through job creation and 90% of employees live within 1 mile of the Cafe and 100% live in Philadelphia. Almost all employees including owners walk, bike or take public transportation to work. When the Cafe was being constructed, green design was in mind. LEED elements were considered in all aspects of construction with over 80% of the building materials being reclaimed, recycled and repurposed from other old buildings in Philadelphia that were being demolished. 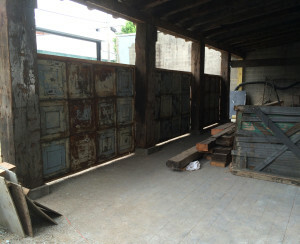 In addition to lumber, planking, old tin and reclaimed decor, all of the table tops, booths and banquettes are reclaimed. Even the “live edge” maple tables were taken from trees that had naturally fallen in the forest. 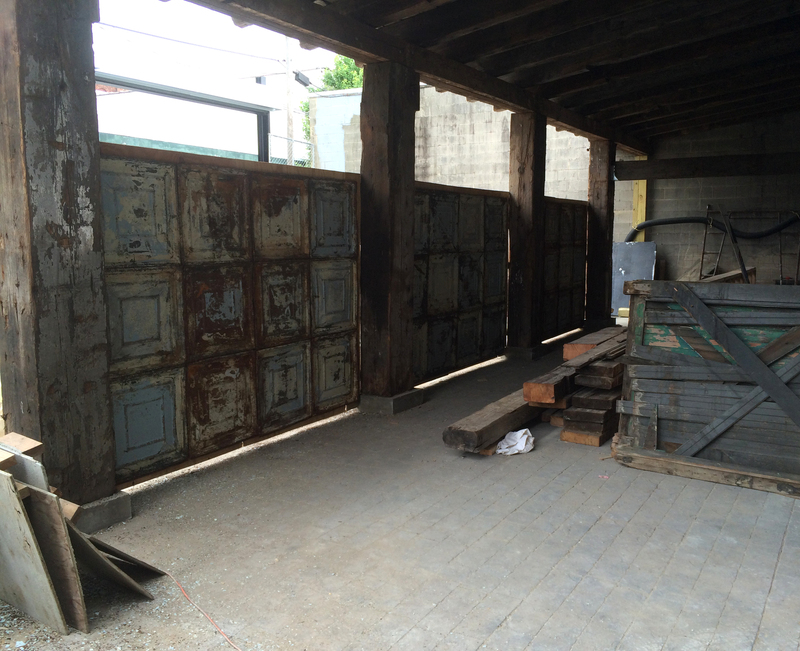 100% of construction waste from the project was recycled at Burns Environmental in North Philadelphia. Care and thought was put into the exterior of the building as well, the outdoor garden bar was constructed completely out of repurposed materials and the hardscaping was designed to allow rain runoff to permeate the soil and naturally irrigate the trees, bamboo and landscaping as opposed to adding to any storm water runoff into the Delaware River. The HVAC Systems were designed with energy efficiency in mind with 4 multi-zone hi SEER systems. Additionally Front Street Cafe recycles almost 50% of waste created from daily operations, and all used kitchen oil is recycled into Bio Diesel. Last but not least, the menu of the Cafe is 85% vegan and plant based as Front Street Cafe recognizes the importance of the adaptation of a plant based diet for the sustainability of its customers, local farms and for the protection of our Earth’s valuable resources.